AS Monaco has been incredible in its debut 7DAYS EuroCup season and one of the big reasons has been the play of center Elmedin Kikanovic. However, in the regular season there was no real size off the Monaco bench and how the team might respond against a big front line if Kikanovic was in foul trouble or otherwise struggling remained a big question. Monaco attempted to address that issue with the signing of Eric Buckner and on Tuesday that move proved a resounding success. In Monaco's 68-72 road win at Partizan NIS Belgrade, Kikanovic posted his lowest performance index rating of the season (7) and failed to reach double figures in points for only the second time all season. However, Buckner was virtually unstoppable in 22 minutes on the floor, rendering Kikanovic's off-night almost irrelevant. 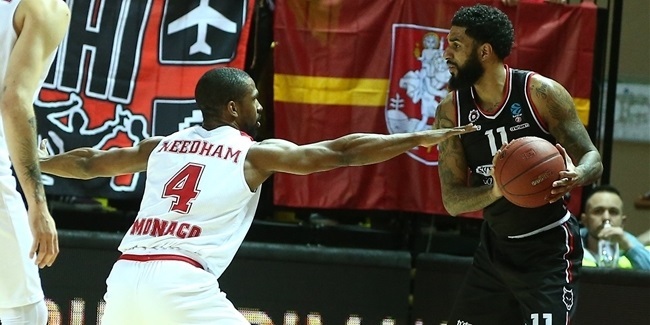 Buckner showed – in his third EuroCup game with the club – his developing chemistry with the Monaco guards as he scored via alley-oops and pick-and-rolls as well as a put-back slam. He totaled 11 points without missing a field goal attempt. On defense, Buckner blocked a pair of shots and intimidated several Partizan players on their attempts to score. He was active on the offensive glass with 3 of his 7 total rebounds coming there. 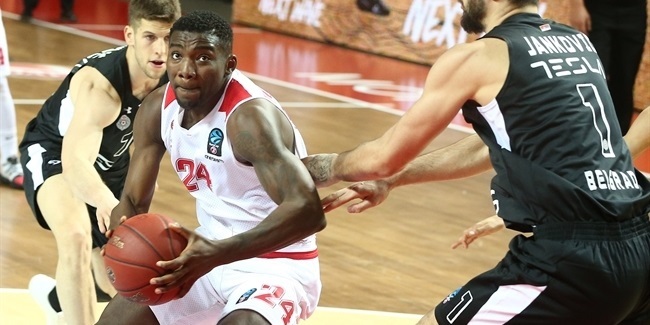 The addition of Buckner gives Monaco two centers with very different playing styles and 40 minutes from the pivot that opposing big men will have to deal with on a nightly basis as the team seeks to continue on to the elimination rounds in the EuroCup. Top 16 Round 6 possibilities: Plenty to play for!